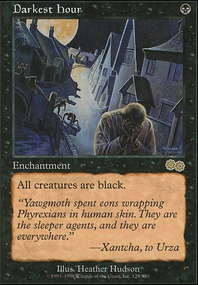 Hi there, I feel like I'd go and drop the from the deck at first since it stretches your manabase a lot and Cursecatcher / Negate which could relatively easy replaced by discards spells such as Duress while / Slip Through Space could be turned into Korozda Guildmage and/or Rite of Consumption. In case you feel like keeping a third color in, I'd rather concider going with white since it offers stuff like Promise of Bunrei and the like. 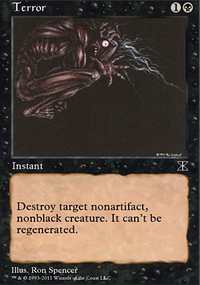 Also, you might want to add one more Nantuko Husk clones such as Vampire Aristocrat or Bloodthrone Vampire for consistency. Cheers! 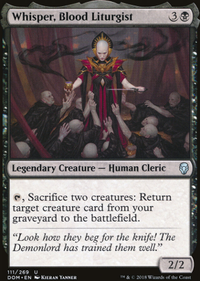 The biggest candidates for replacement in the deck are Gatekeeper of Malakir and Vampire Aristocrat, as CMC of 2 is important for the Blood Artist + Return to the Ranks sacrifice combo. Hey, what about Carnival of Souls and Urza's Incubator? 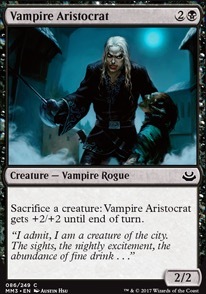 Also, creatures like Blood Bairn, Vampire Aristocrat, Bloodflow Connoisseur and Bloodthrone Vampire could be useful in combat considering that you'll always have some sac fodder for them. first of all I like the low mana curve of your deck. 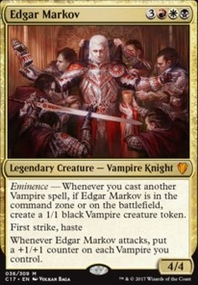 This is how Edgar Markov should be played! Skullclamp was already mentioned. It is the most important inclusion in your deck, I think. It's your draw engine in combination with the tokens. You could consider Blood Bairn, Bloodflow Connoisseur, Bloodthrone Vampire, Vampire Aristocrat and Viscera Seer. 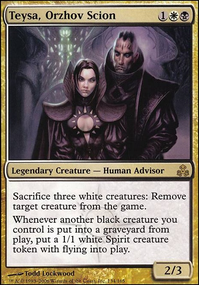 The first four give you an advantage in combat and the Viscera Seer gives you card selection which is desperately needed in mardu. All are good with Skullclamp. Take out Skymarch Bloodletter, Bloodmad Vampire, Inspiring Cleric, Olivia's Dragoon, Ravenous Bloodseeker or Sanguinary Mage. Or take out Gifted Aetherborn and Tithe Drinker because they're difficult to cast on turn 2 consistently. 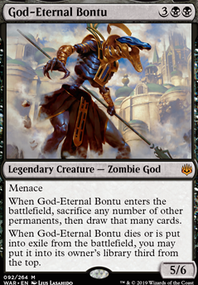 Carnival of Souls could be a great tool for an aggro deck in a 1vs1 format. I think it will really spice things up in your deck! Door of Destinies could be too slow for your deck. Maybe play Mercadia's Downfall instead. It is a devastating finisher in most matchups. 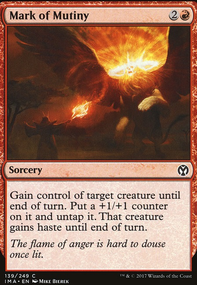 you should invest some money in your mana base, so that you're able to cast your spells consistently on turn 1,2 and 3. For example fetches, shocks, Dragonskull Summit, Isolated Chapel, Clifftop Retreat and Unclaimed Territory.